Online casinos display professional-looking platforms with a vast array exceptional gambling services that give the iGaming industry a credible demeanor. Without the expertise of the software developers working in the backend, that would not have been possible. Booming Games is one of the names that give life to online casinos by providing them with high-quality game content designed using cutting-edge technology. Founded in 2014 by a small group of individuals with a dream to lead the online gaming industry, Booming Games’ mission is to introduce to the whole iGaming market the future of online gambling. Unlike other game providers in the market, Booming Games has taken the extra mile in designing its products to go on par with the latest top-grossing digital, animated movies. This is because of its solid foundation on core mathematics, which became the portal for this game provider to create some of the most exceptional games ever to hit online casinos. Given that other providers are also known for creating 3D and HD games, Booming Games still showcases great prowess due to the fact that it made a tremendous upgrade on its games’ graphics quality by adding realistic touches to the design. Therefore, gamblers are certain to expect a mind-blowing gaming experience with the products of Booming Games. Given that Booming Games is recognized as among the leaders of 3D Bitcoin games, this software provider is also known for developing certified content that are in line with the latest and highest standards of the law and responsible gaming. Compared to a few developers, Booming Games has made sure that their products are not only impressive to the eyes, but are also fully acknowledged by the law. This is to ensure the legitimacy and credibility of the iGaming industry. 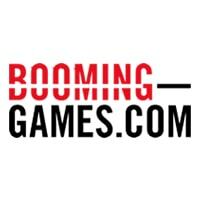 Moreover, the Booming Games team is composed of exceptional individuals such as expert programmers and architects that have proven their capacity in the field of online designs and game development. The Bitcoin casino market is fortunate to have Booming Games included in its roster of game developers. Starting off as a provider for fiat currency platforms, Booming Games has now expanded its influence to the Bitcoin gambling sector. With the high-caliber games finding their way to Bitcoin casinos, the Bitcoin gambling community is now aware and able to experience the talents and expertise of a groundbreaking company like Booming Games.